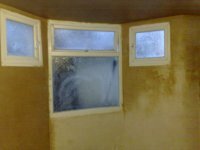 On the right hand side of this page you can see photos of one of our recent jobs – basement tanking in London South East. 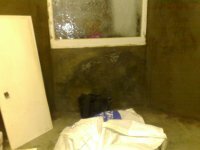 Damp Proofing London SW basement tanking systems are applied to either the positive pressure side or the negative pressure side of a substrate. Positive tanking pressure is achieved when the hydrostatic water pressure is pushing tanking onto the substrate. Negative tanking pressure is where the basement tanking system is applied to the other side of a wall and the hydr ostatic water pressure will try to push the tanking of the substrate. Successful basement tanking on the negative side is difficult and requires a more comprehensive specification. When tanking existing basements internally then products such as asphalt, self adhesive membranes or liquid applied membranes all require a supporting vertical brick or blockwork lining wall, which is normally backfilled with sand/cement mix and a minimum 50 mm sand/cement screed. Such systems incur space penalties unlike the Damp Proofing London SW Basement Tanking Systems, which can be applied direct to the substrate with a final thickness of less than 5 mm without the necessity of a supporting backfilled wall. The treatment can be applied to both walls and floors. Basement tanking is the creation of a watertight envelope. If there is hydrostatic water pressure present or possible high water table in the future, then the floor must also be tanked to com plete the watertight integrity. If continuity is not achieved, or where different systems cannot be tied effectively together, then the system will remain vulnerable to possible water ingress. Where continuity has not been achieved, e.g. for commercial reasons at the clients instruction, then this should be unambiguously identified for future reference. We would recommend identifying such areas as ‘sectional tanking’ with liability restricted to those areas actually tanked. Cementitious “tanking” and epoxy systems are a traditional method of waterproofing and can be used as an alternative to cavity drain membranes in certain applications. Cementitious systems are suited to contracts where limited areas are to be treated or where drainage cannot be easily achieved. These systems can also be used in combination with cavity drain membranes, most commonly where headroom is limited or where there is a flat soffit with no drainage falls. Single component, polymer modified cement “tanking” system for walls and floors. Highly effective damp proof membrane for brickwork, concrete or any cementitious substrate. Surfaces to be treated should be correctly prepared, free from all loose materials and contaminants and be in a sound and solid condition. For application to floors products should be applied directly to the structural slab. For wall applications products should be sandwiched between sand/cement render coats. For all applications, special attention should be given to wall/floor junctions. Fillet Seal is used to ensure a smooth transition between horizontal and vertical surfaces which minimises the risk of leaving gaps or holes unsealed during the waterproofing works. Got Damp in Your Basement or Cellar? For basement tanking in London South East / West or basement waterproofing in London South call Damp Proofing London SW on 08448 841 757 or 07552 949 123.